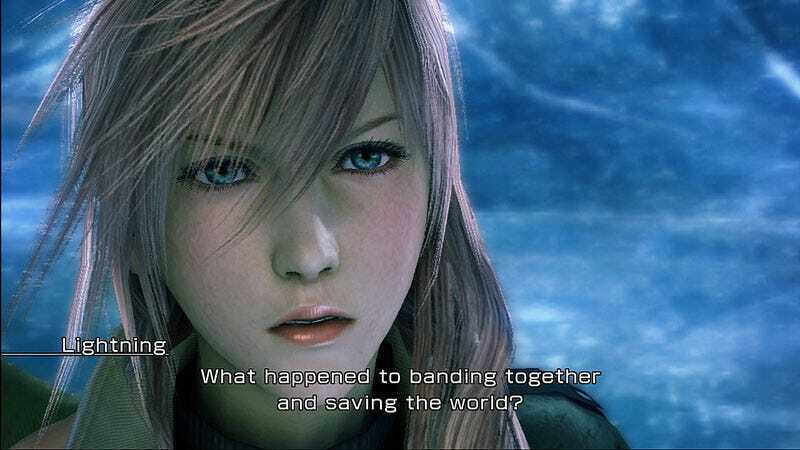 Last week, Square Enix released new screen shots of Final Fantasy XIII in both PlayStation 3 and Xbox 360 flavors, sparking a bit of console-centered controversy, due to their clearly doctored nature. Now we're getting a proper comparison. The previous batch of in-game screens were "mistakenly" released in Square Enix's asset update for the forthcoming RPG, with new, more accurate shots of the Xbox 360 version promised. Well, they're here and it's up to you to decide if you agree with Square Enix that "there is no material difference between the two consoles." Square Enix's update consisted of the PS3 screens of the North American version of FFXIII already released, plus a 18 new ones straight from the Xbox 360 port. We're only including the new, Xbox 360-specific versions in this post. While we all soak these in and behave ourselves like mature connoisseurs of the art of the screen shot, let's just preface this with the following expectation: you're gonna notice a difference.